Experience the convenience of wireless listening with the Marshall Bluetooth Headphones. These wireless headphones are available on Souq. Move to the groove of your favorite tracks without wires restricting your movement by using the Marshall Major II Bluetooth On-Ear Headphones. 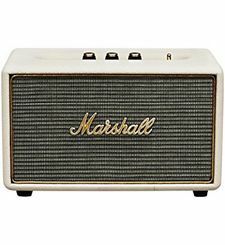 These Marshall Headphones deliver more than a day and a half of continuous playing time on high volume. A conveniently located control knob gives you complete control over the headphones. The Major II features custom-tuned 40mm drivers that deliver an excellent bass response, soothing mids, and soaring highs. These headphones are engineered to block any ambient noise from interfering with your listening experience. Bluetooth aptX technology gives you excellent connectivity so you can enjoy a wireless listening experience. The Marshall Bluetooth Headphones are powered by a 680mAh battery that offers 37 hours of runtime at high volumes on a single full charge. The headphones can be used within 10 meters of your device giving you plenty of space to groove freely. The Marshall Major II Headphones are integrated with customized drivers that deliver deeper bass and detailed highs. 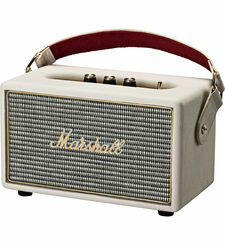 These wired Marshall headphones sound far better than any previous model in the Major series. The Major II headphones work well with a variety of musical genres. These Marshall Major Headphones feature dual 3.5mm jacks. The detachable double-ended coil cord with an L-plug end provides carrying convenience and durability. 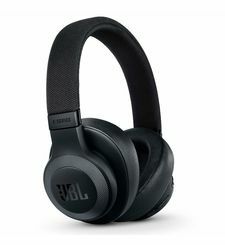 The headphones also boast an extra 3.5mm socket that lets you connect another pair of headphones to share your musical experience. You can answer and end phone calls, play and pause music and even fast-forward tracks with the aid of the one-button inline remote. The integrated microphone provides excellent audio clarity while talking. 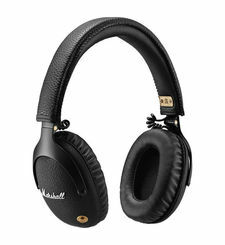 These Marshall headphones have a brand-new hinge and headband design making them more flexible and comfortable to wear. Moreover, the headphones fold inwards making them easy to transport and safe to store. The ear caps can rotate more freely, adapting to the shape of your head, while the extra soft cushioning ensures comfort over long listening sessions. Experience the convenience of wireless listening with the Marshall Bluetooth Headphones. These wireless headphones are available on Souq. Move to the groove of your favorite tracks without wires restricting your movement by using the Marshall Major II Bluetooth On-Ear Headphones. 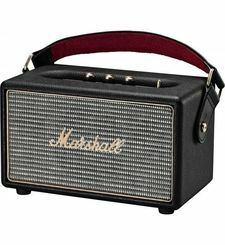 These Marshall Headphones deliver more than a day and a half of continuous playing time on high volume. A conveniently located control knob gives you complete control over the headphones. The Major II features custom-tuned 40mm drivers that deliver an excellent bass response, soothing mids, and soaring highs. These headphones are engineered to block any ambient noise from interfering with your listening experience. Bluetooth aptX technology gives you excellent connectivity so you can enjoy a wireless listening experience. NON-STOP MUSIC The Marshall Bluetooth Headphones are powered by a 680mAh battery that offers 37 hours of runtime at high volumes on a single full charge. 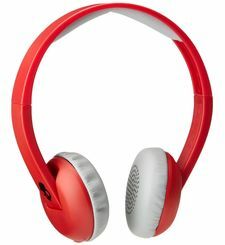 The headphones can be used within 10 meters of your device giving you plenty of space to groove freely. BETTER SOUND The Marshall Major II Headphones are integrated with customized drivers that deliver deeper bass and detailed highs. 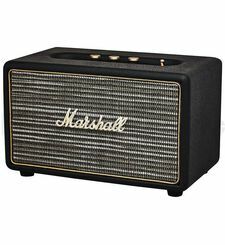 These wired Marshall headphones sound far better than any previous model in the Major series. The Major II headphones work well with a variety of musical genres. TONS OF FEATURES These Marshall Major Headphones feature dual 3.5mm jacks. The detachable double-ended coil cord with an L-plug end provides carrying convenience and durability. The headphones also boast an extra 3.5mm socket that lets you connect another pair of headphones to share your musical experience. You can answer and end phone calls, play and pause music and even fast-forward tracks with the aid of the one-button inline remote. The integrated microphone provides excellent audio clarity while talking. 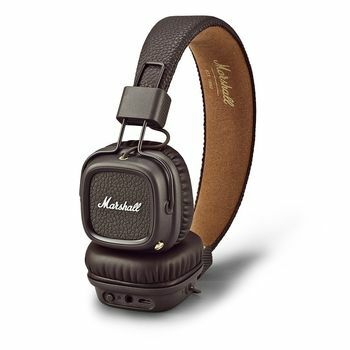 CONVENIENT DESIGN These Marshall headphones have a brand-new hinge and headband design making them more flexible and comfortable to wear. Moreover, the headphones fold inwards making them easy to transport and safe to store. The ear caps can rotate more freely, adapting to the shape of your head, while the extra soft cushioning ensures comfort over long listening sessions.